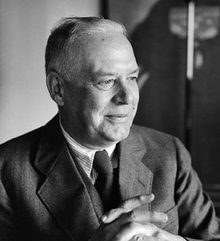 Wallace Stevens was a plodding insurance executive in Hartford for nearly all of his adult life, except when he spent winter vacations in Key West. There he got drunk and fought with Robert Frost and Ernest Hemingway. Stevens was also a poet – on the side, to be sure. He didn’t publish his first book of poems until he was 44. At 72, just before he died, he won the Pulitzer Prize for poetry. He composed poems on slips of paper on his way to work in the morning, and had his secretary type them up. His boss at the Hartford Accident and Indemnity Company knew nothing of Stevens’ hidden passion. “Unless they told me he had a heart attack, I never would have known he had a heart,” he said. Robert Frost didn’t think much of Stevens’ poetry. The feeling was mutual. Wallace Stevens was born in Reading, Pa., on Oct. 2, 1879, the son of a lawyer and a schoolteacher. For a while he went to Harvard, where he published his poems in the school’s literary magazines. He needed to make money, though, so he went to the New York School of Law, passed the bar exam and went to work for a law firm. 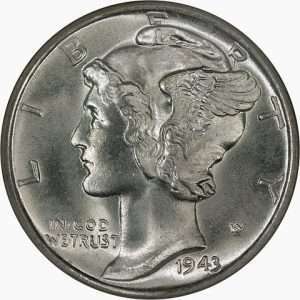 He married the beautiful but uneducated Elsie Kachel, whose profile would later appear on the Mercury dime. She didn’t share his literary interests and showed signs of mental illness, straining their marriage. In 1916, he moved to Hartford and began the humdrum existence of an insurance company lawyer. He moved to a large Colonial Revival house with his wife and only daughter. He found escape in booze, poetry and Key West, Florida. He usually traveled without his wife on his annual winter vacations to Key West between 1922 and 1940. 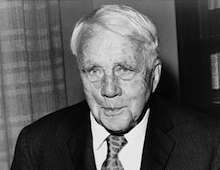 In late March of 1935, Stevens was vacationing at the Casa Marina in Key West when he spotted Robert Frost on the beach. As a poet, Frost’s reputation then outshone Stevens’. He had won two Pulitzer prizes. Stevens, on the other hand, had only published a volume of poetry, Harmonium, more than 10 years earlier. But as a denizen of Key West, Stevens had the upper hand. He was a successful businessman who’d been coming there for years, while Frost was a first-time tourist. Stevens invited Frost to dinner with his friend Judge Arthur Powell. At cocktails before dinner, Stevens drank too many martinis and insulted Frost’s poetry. Frost later described Stevens’ drunken behavior to a lecture audience at the University of Miami. Word of Frost’s gossip got back to Stevens. Frost wrote him a letter of apology, saying he’d only meant to be playful. He treasured the memory of that evening – which, he wrote, he was in a better condition to remember than Stevens. Ursula went to her brother’s home to tell him what happened. Stevens had already dumped on Hemingway twice before, and Hemingway was fed up. He followed his sister to the cocktail party, where Stevens was just leaving. Stevens drunkenly announced he wished Hemingway was there so he could knock him out with a single punch. Stevens, at 6’2” and 220 lbs., was bigger than Hemingway, but 15 years older. He took a swing at him, and missed. 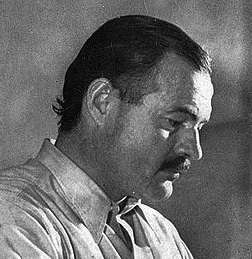 Hemingway punched Stevens twice, sending him splashing into a puddle – ‘spectacularly,’ Hemingway wrote to a friend. As Stevens got to his feet, Hemingway started to take off his glasses. Stevens sucker punched him in the jaw, breaking his own fist in two places. Hemingway then whaled on the insurance executive until he went down and couldn’t get up. Stevens spent the next five days in bed, a nurse and doctor tending to his broken hand and battered face. A week later he meekly apologized to Ernest and Ursula Hemingway. He asked the writer to keep the story to himself, as word about it could hurt his career at the Hartford Accident and Indemnity Company. Hemingway agreed to a cover story that Stevens fell down a flight of stairs. He also kept his word to keep the matter quiet. Hemingway, magnanimous in victory, later asked a friend to tell Stevens that he was a damn fine poet but that he couldn’t fight. The trouble with you, Robert, is that you write about subjects. The trouble with you, Wallace, is that you write about bric-a-brac. With thanks to The Whole Harmonium, by Paul Manani.